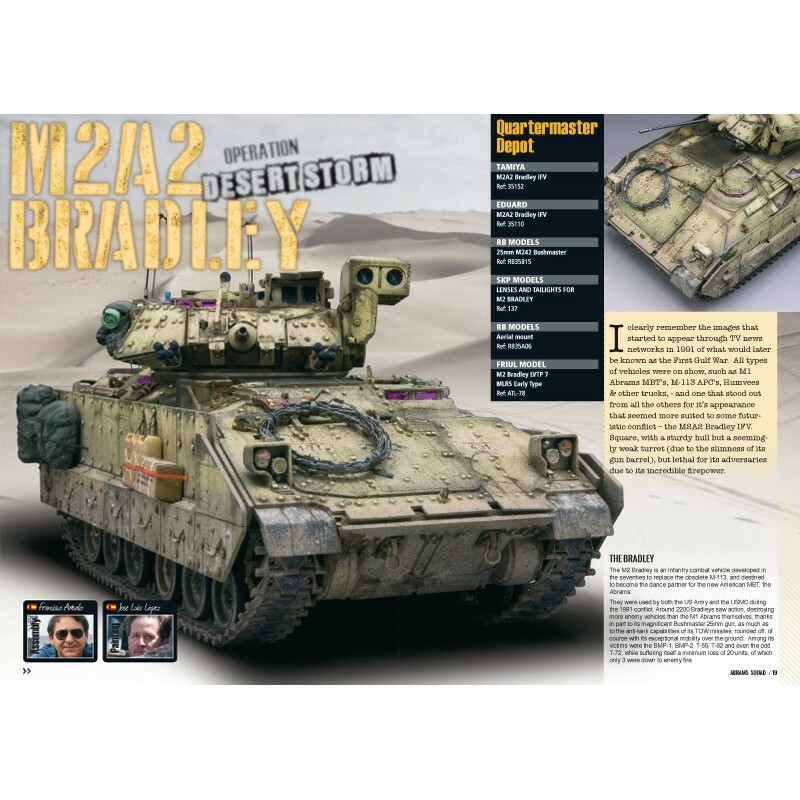 18 – M2A2 BRADLEY OPERATION DESERT STORM: A model fi nished by two friends: Paco Arévalo builds and Jose Luís López paints. The building and detailing of this oldie by Tamiya is the perfect base for Jose Luís, working with his well known style in Black and White, to achieve maximum appeal for this US IFV. 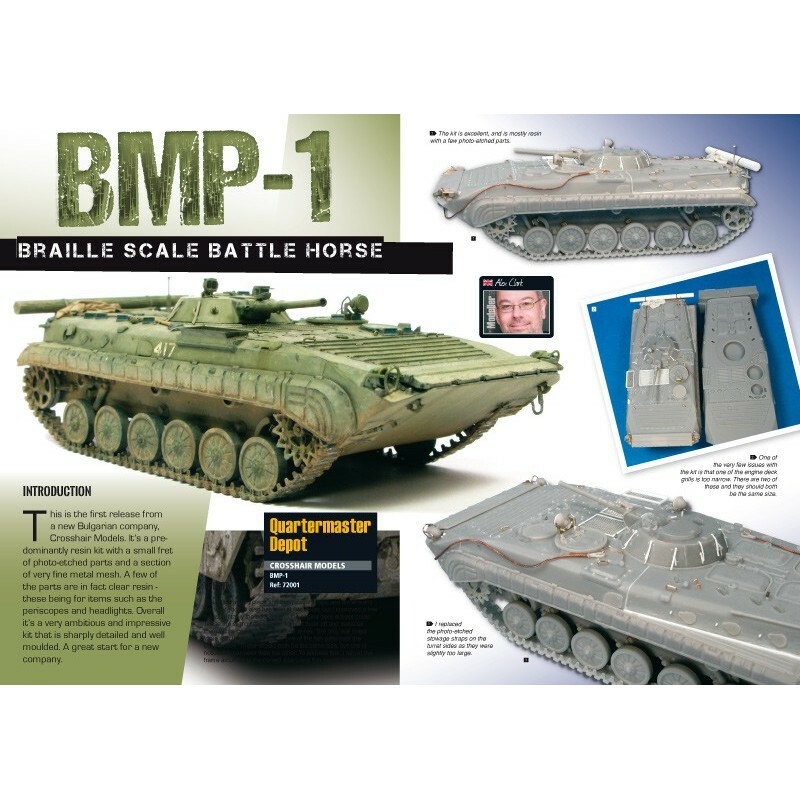 30– BMP-1 BRAILLE SCALE BATTLE HORSE: Mastering is only achieved with work, and Alex Clark is not missing any of that! This time he puts aside his usual theme (T-72’s) and fi nishes a very nice resin replica, taking it to the maximum with extra details. 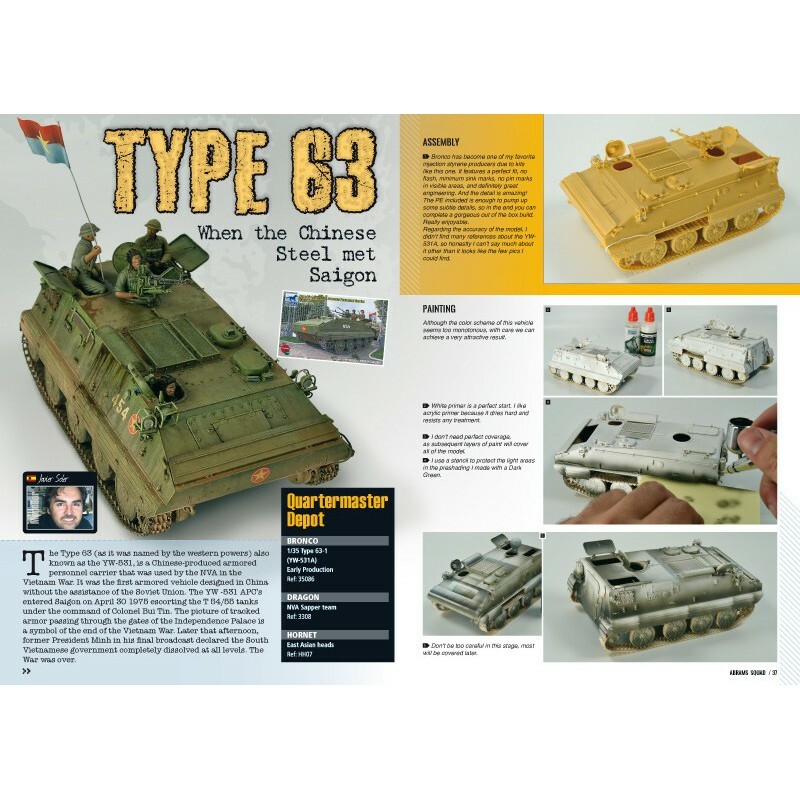 36 – TYPE 63 WHEN THE CHINESE STEEL MET SAIGON: Javier Soler is a well-known modeller all around the world because of his works on modulation and lighting techniques. 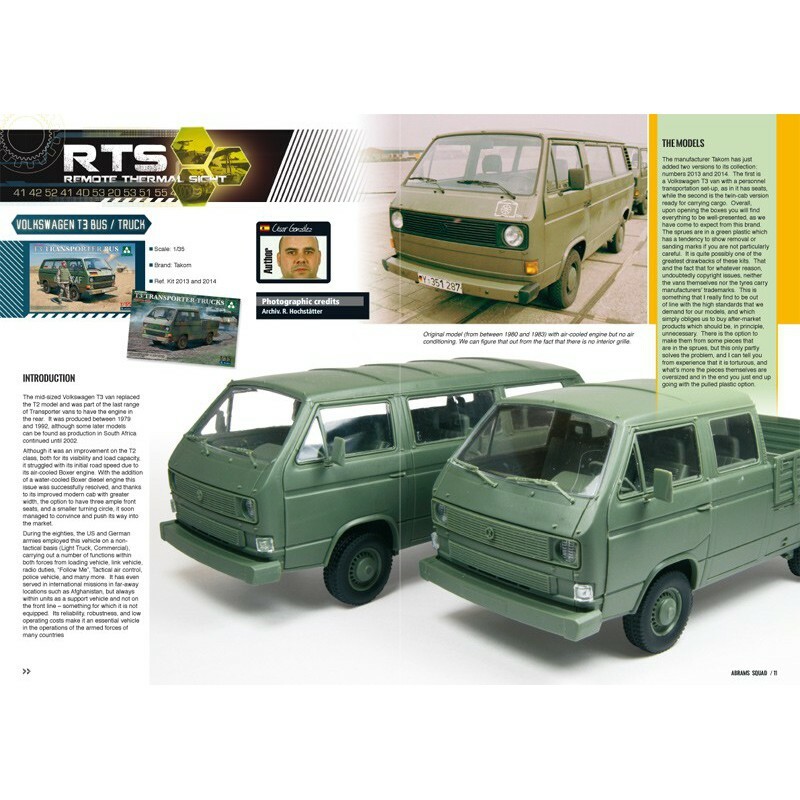 Using as his base a rarely seen vehicle, he shows us step-by-step how to come through safely with his techniques and fi nish the model with a second-to-none weathering job. 48 – AUF1 GCT FRENCH HELL FIRE: In Abrams Squad, we like to offer you all kinds of models, from different subjects and all nationalities. 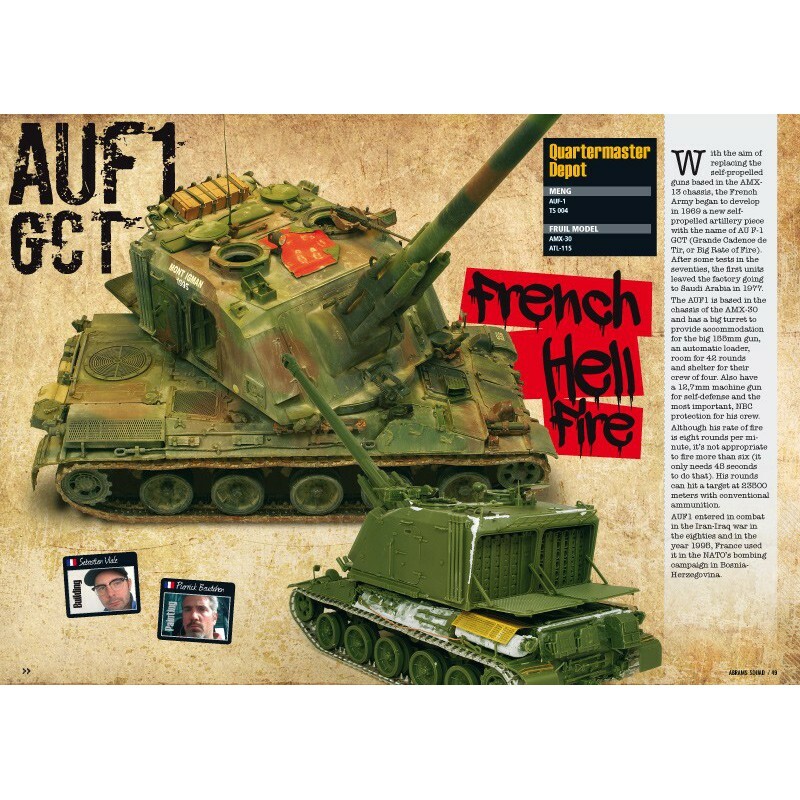 In this article, Sebastien Viale and Pierrick Boudehen joined skills to replicate the French self propelled gun AUF1 in 1/35. 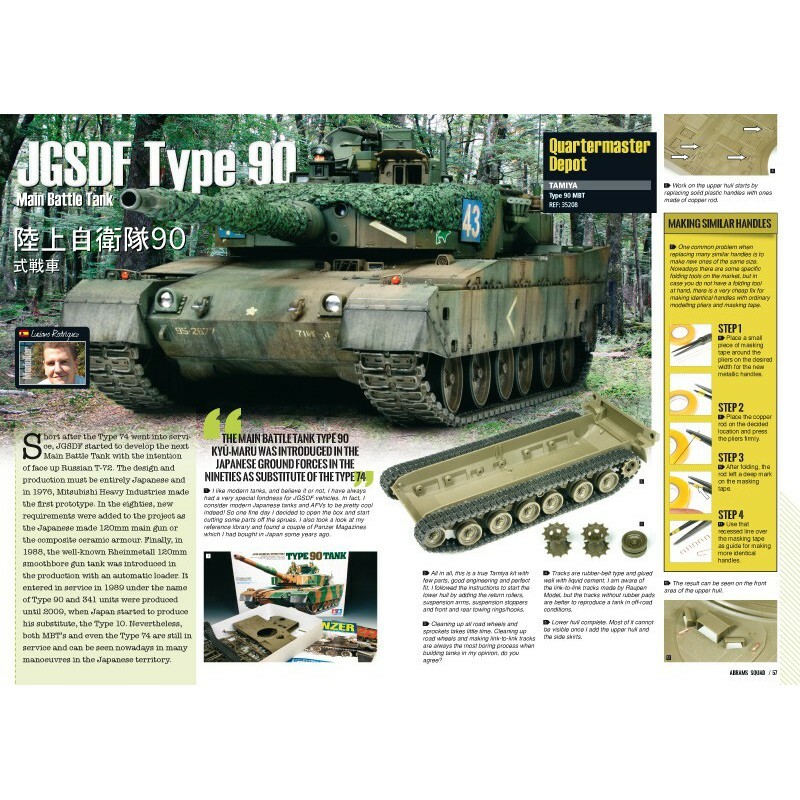 56 – JGSDF TYPE 90 KYŪ-MARU : And if we talk about well-known fi gures, Luciano Rodriguez is one of them without doubt. Luciano’s work is recognized and admired by almost everybody. 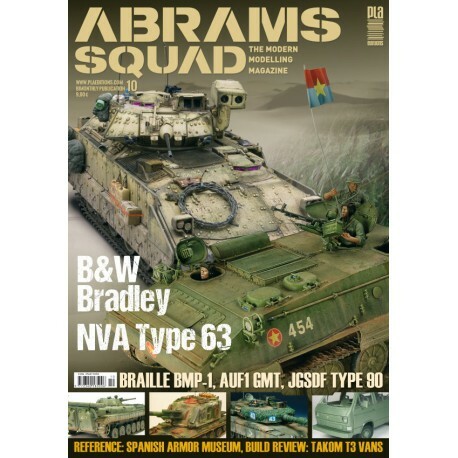 With this Japanese MBT, Luciano attains a level of detail and fi nish as only few can… and he explains it all to us. 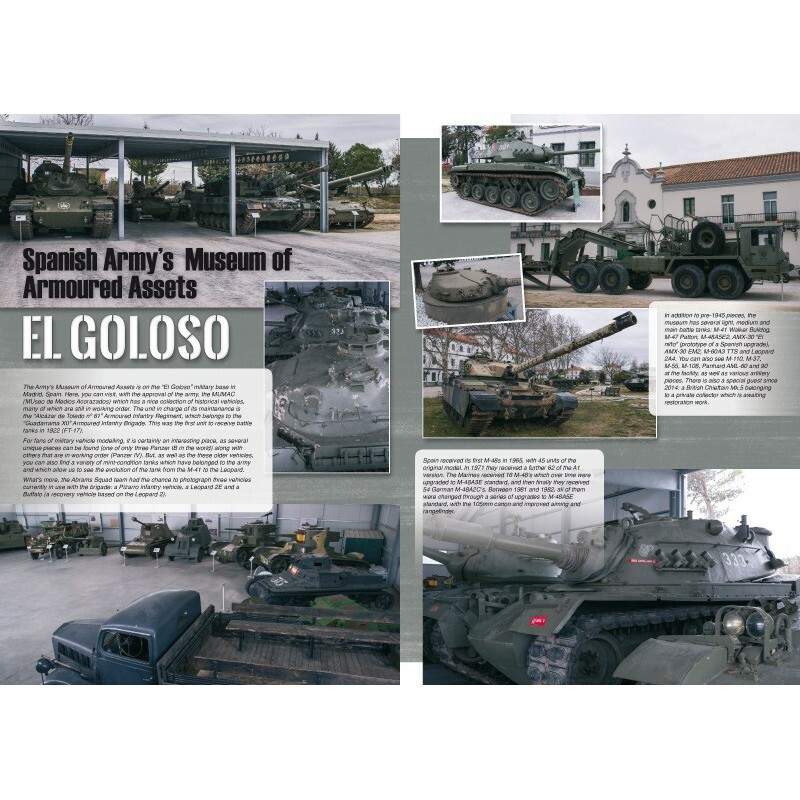 66 – EL GOLOSO MUSEUM AND MILITARY BASE: Abrams Squad visits the Military Base of “El Goloso” (Madrid-Spain), that contains the Museum of Armored Vehicles of the Spanish Army. The (still) young collection as some unique pieces, and some of them in running condition! A ‘must see’ visit for any AFV afi cionado!